In the market for a jet? We present three for your consideration, each at varying price points, features, and in-cabin comfort. For a frequent flier seeking to purchase a business jet, range is one of top deciding factors. One might, for instance, need an entry-level jet for short inter-city or inter-island hops. Those travelling with a team or on longer distances favour the other end of the spectrum, choosing aircraft with cabins that can accommodate meeting zones, bedrooms, and showers. To appeal to different customers, manufacturers aim to offer a wide range of options. 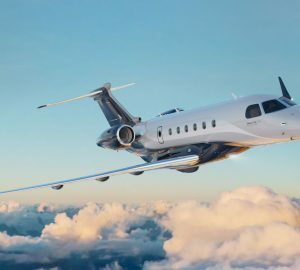 Embraer Executive Jets offers six aircraft models, starting from the seven-seater Phenom 100EV, which has the economics of a turboprop, to the ultra-large-cabin Lineage 1000E. In creating its executive jets, Embraer has drawn from its experience in manufacturing defence and commercial aircraft. 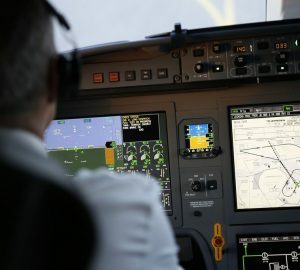 Influence from the defence sector is seen in its constant pushing of the envelope, aiming for best-in-class cabin comfort, runway performance, speed, and cockpit avionics. 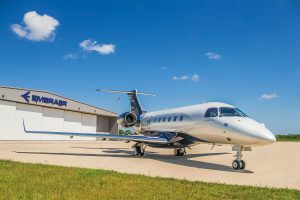 Its focus on reliability, learned through its commercial jets business, led it to offer an unprecedented 10-year or 10,000-flight-hour warranty for its super-midsize Legacy 650E in 2016. Enhanced variants are introduced once in a while to keep the aircraft competitive. 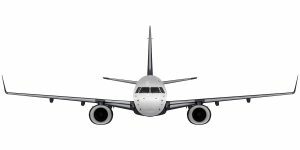 Here, we look at three business jets by Embraer. 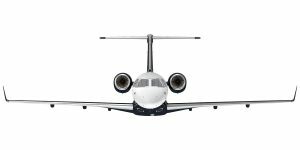 Since 2013, the Phenom 300 has been one of the best-selling models in the business jet market. Its popularity stems from its low maintenance costs, comfortable cabin, and capability to be flown by a single pilot. The light jet can take six people to destinations 1,971 nm (3,650 km) away, and can reach a maximum speed of Mach 0.78. But that hasn’t stopped Embraer from making it better. At NBAA last year, the company unveiled an enhanced version, the Phenom 300E. The new plane comes with improved interior design – noticeably, a cabin that feels larger, thanks to a wider aisle and a higher headroom made possible by redesigned overhead panels. The fittings are meant to be adaptable for both work and relaxation, with new fold- out tray tables and plenty of drawers, compartments, and USB chargers. Other creature comforts are an optional divan, a large refreshment centre, and fully articulating seats with broader backs and extendable head- and leg-rests. The Phenom 300E also comes with improved cabin management system (CMS) and avionics. Lufthansa Technik’s Nice HD CMS incorporates redundant design features to minimise failure, and allows control of cabin settings from a handheld device. 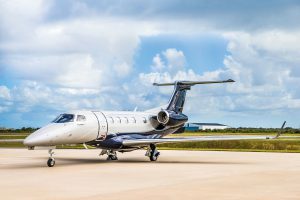 For those who frequently fly on short trips between cities such as Hong Kong and Jakarta, yet long for the luxury of a business jet, the Phenom 300E hits the mark. Buyers have taken notice, with the first unit handed over to a South African buyer in late March. One of Embraer’s offerings in the competitive mid-size market is the twin-engine Legacy 500, which entered service in 2014. Perhaps the most competitive feature of this aircraft is its ability to land on short runways that many mid-size jets avoid. When carrying four passengers, it reaches a range of 3,125 nm (5,788 km), more than enough to fly non-stop from Beijing to Mumbai. Maximum speed is Mach 0.83. 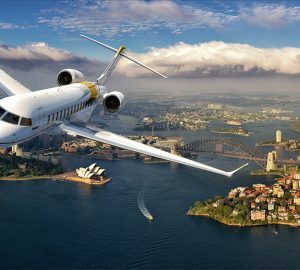 The Legacy 500’s in-flight experience is another draw, with a low maximum cabin altitude of 5,800 ft (1,768 m) and a flat-floor cabin that is six feet tall and 27.6 feet long. Its seats come with optional heating and massages, and can be configured to accommodate 12 passengers. With the Ovation Select CMS, passengers can access full HD video and optional surround sound, as well as 3.1 Mbps high-speed data and Wi-Fi connection. Up front, the pilot also enjoys both technology and comfort, with a fly-by-wire control system, large displays, and ergonomic seating. At the top of the Embraer Executive Jets spectrum lies the Lineage 1000E with a range of 4,600 nm (8,519 km), making Beijing to Riyadh a breeze. It operates at a maximum speed of Mach 0.82 and can carry as many as 19 passengers. Like the Legacy 500, the Lineage 1000E’s runway performance defies its size, with the ability to operate in restrictive airports like London City, Aspen, and Teterboro. Being an ultra-large business jet, the Lineage 1000E comes with five distinct cabin zones and hundreds of possible interior configurations. 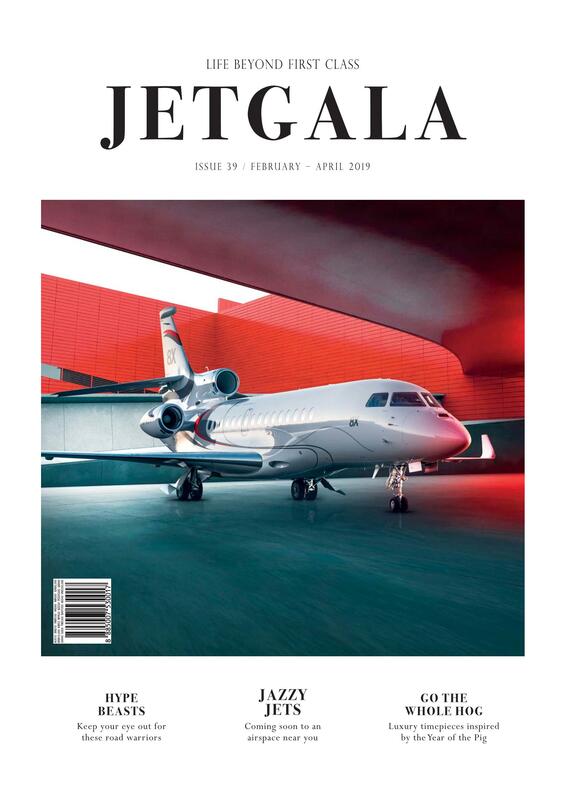 One of its popular interior schemes is the Skyacht One, a nautically inspired theme created by Embraer Executive Jets’ Senior VP of Interior Design Jay Beever in collaboration with Sotto Design Studios. Other interior concepts are Skyranch One, Manhattan, Hollywood, and Kyoto Airship. 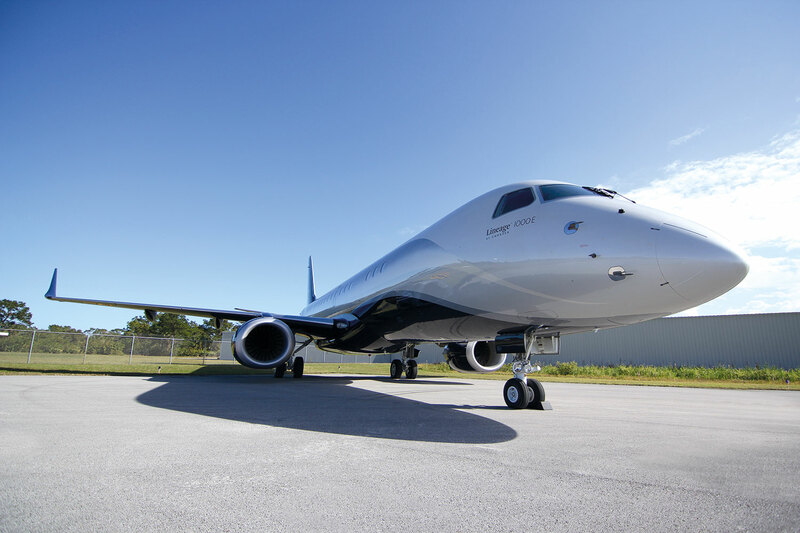 Embraer has touted its largest executive jet’s reliability, with more than eight million hours of flight time recorded on the Lineage 1000E and E-Jets platform. Fly-by-wire controls improve safety, while the Honeywell Primus Epic avionics system reduces pilot workload.